I didn't know that the verb trim could be used in this way but, according to the dictionary, the word trimming actually means "an additional garnishing". So I suppose it refers to ketchup, mustard and probably also to bacon, lettuce, and tomato slices in this case. The Merriam-Webster link above shows that the word is in the 30% bottom of words in popularity. So I'd like to know: does this word sound outdated today to the American English speakers? If so, when was it more used? And what could be a better word to use today with the same meaning? I'd agree with Laurel in the answer already given that "all the trimmings" will be recognised in American English. An alternative expression would be "all the fixings" or "all the fixin's"
verbal noun from fix (v.). American English sense of "food, garnishing" is attested from 1839. Rur. with all the condiments or other dishes that accompany a certain kind of food. For $12.99 you get a turkey dinner with all the fixings. Max likes his hamburgers with all the fixin's. I guess the "Rur." means that it's a rural expression? Probably used mainly in the South. Not so influenced by pop culture as the postmodernists, the stories in Drinking Coffee Elsewhere entertain on a familiar, almost nostalgic level--like Sunday dinner with all the fixin's at grandma's house. with all the extra things, especially with food. We had a lovely Thanksgiving dinner with all the trimmings. I look forward to roast turkey with all the trimmings. Offering up turkey with all the trimmings, plus the bonus of a Yorkshire pud, owners Les and Pam Hippolite charge just pounds 3. Turkey with all the trimmings and extra courses available including mince pies. Cost Plus World Market (NASDAQ:CPWM), a leading retailer of casual home living and entertaining products, unveils a hassle-free Thanksgiving sweepstakes where one San Francisco Bay Area winner will enjoy the ultimate meal with all the trimmings. On words that are "trending right now", such as "culture", it just says "trending" and for "the" it says "top 1% of lookups". This doesn't say much about whether people know the word or not, since if you know the definition you probably aren't going to look it up. It's not very easy to reliably know if a word is going to be known by people. Usually what's looked at is word frequency. In general, the more the word is used, the more people know what it means. However, one big drawback of this is a lack of sorting: everything with that spelling is combined together no matter if it's what you're looking for or not. This word belongs in Frequency Band 4. Band 4 contains words which occur between 0.1 and 1.0 times per million words in typical modern English usage. Such words are marked by much greater specificity and a wider range of register, regionality, and subject domain than those found in bands 8-5. However, most words remain recognizable to English-speakers, and are likely be used unproblematically in fiction or journalism. All in all, I'd say it will be recognized in American English. 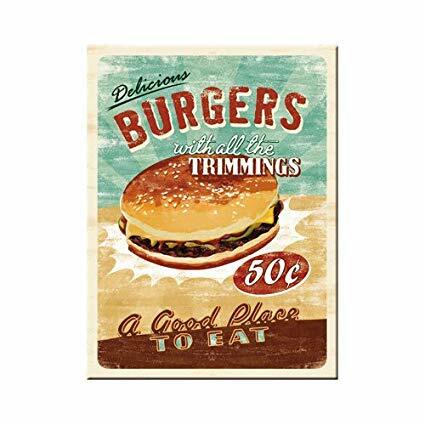 Typically (at least in American English) I'd think of a burger with 'all the trimmings' as 'all the way'. Your phrasing sounds a bit more...over-inflated for something like a hamburger, but it's still immediately evident what you mean. I've always experienced the phrase 'all the trimmings' as indicating a large amount of side dishes, such as 'a Thanksgiving turkey with all the trimmings' indicating that it's served with green beans, cranberry sauce, stuffing, etc. The word 'loaded' also comes to mind, but it's generally used only to refer to baked potatoes. A quick googling returns this as the very first entry: "Beef trimmings are pieces of meat remaining after steaks, roasts, and other cuts are removed. Beef trimmings are very often used to make ground beef," which is the usage I encountered IRL. Definitely not an outdated word for anyone who cooks, not just defrosts a factory-prepared lunch. Not the answer you're looking for? Browse other questions tagged expressions nouns american-english or ask your own question. What does “with all the discrimination of a shotgun” mean? There's a product described as “Omaha Steaks Burgers” is this proper English?